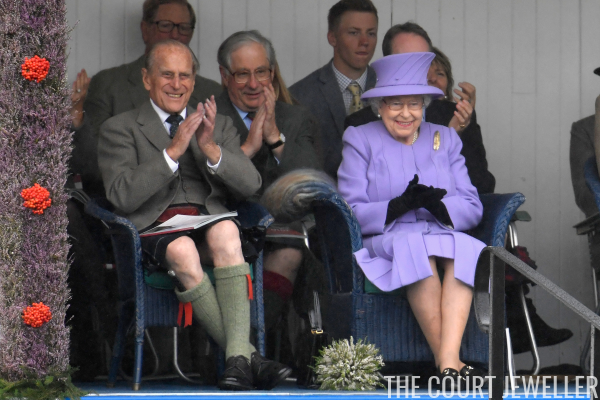 The Windsors are in Scotland right now, enjoying their annual summer vacation at Balmoral. One event that's always on the calendar during their Highland holidays is the Braemar Gathering, which took place on Saturday. 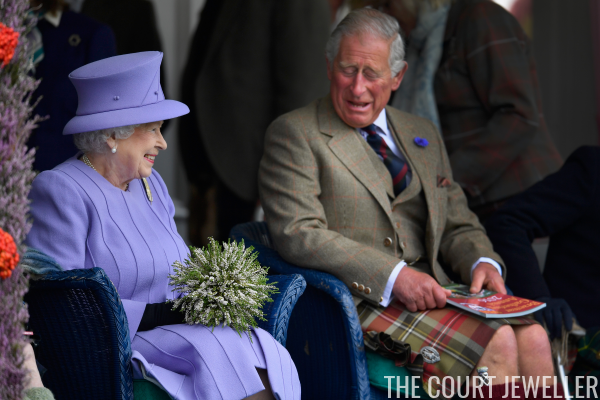 The Braemar Gathering is a day of traditional Highland Games organized by the Braemar Royal Highland Society. 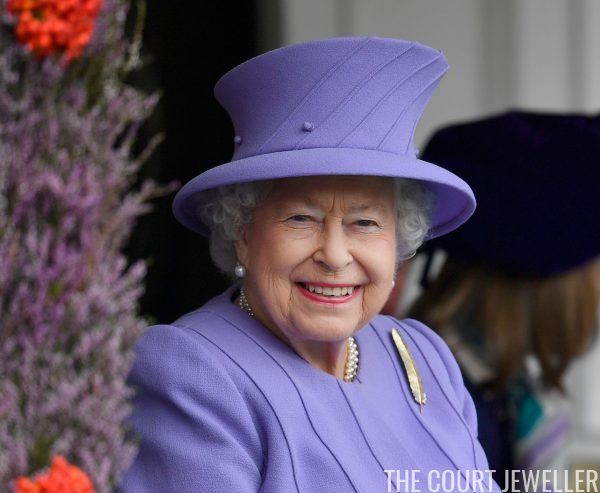 The Queen is the BRHS's patron, and she's attended the games annually since before her reign even began. It's long been a royal tradition to attend: Queen Victoria, who loved Scotland, started going to the Gathering in 1848. The BRHS gave the Queen (who is the Chieftan of the Gathering, naturally) a lovely modern brooch in the shape of a feather to mark her Golden Jubilee in 2002. She's worn it at every Gathering since, and this year was no exception. 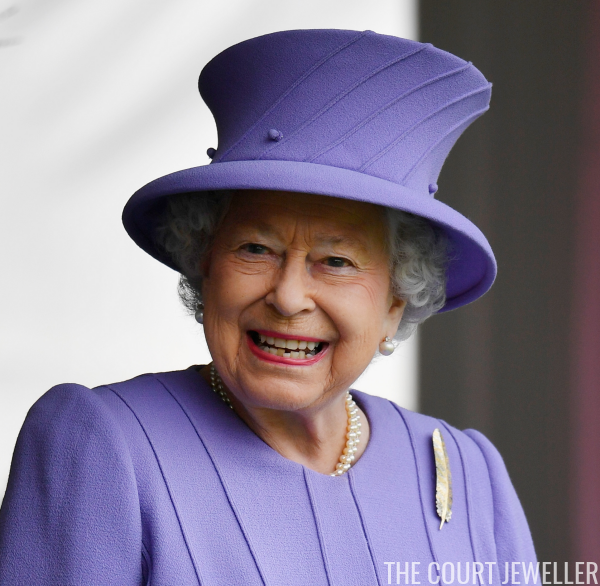 She paired the brooch with a rather tornadic hat for the 2016 games. Usually, a few other members of the family also attend the event. 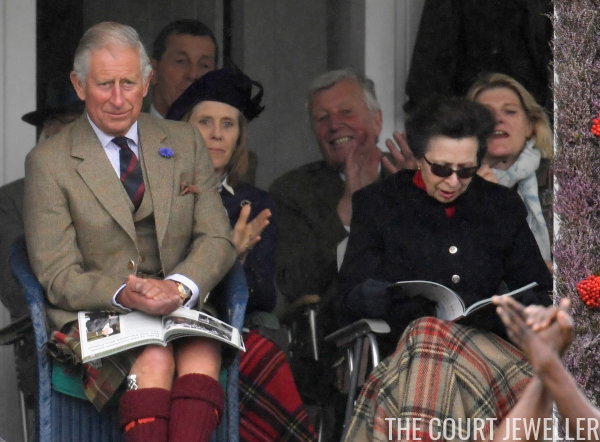 This year, the Prince of Wales -- or, rather, the Duke of Rothesay -- was present, which is great, because he always looks like he's having the time of his flippin' life watching the games. Princess Anne was at the Gathering this year, too. Unfortunately, this was the best photo I have to share of her, which is too bad, because we usually get some excellent laughing-till-crying images of her as well. Ach, well -- maybe next year!